Photo courtesy of The San Diego Museum of Art. Wine, beer, and spirits are among the oldest beverages known to humankind, so it’s not surprising that they often show up in museums—pictured in paintings by great masters or attested to by ancient brewing and distilling pottery on display in glass cases. What may come as a surprise is the way in which alcohol is becoming a regular part of the museum-going experience. 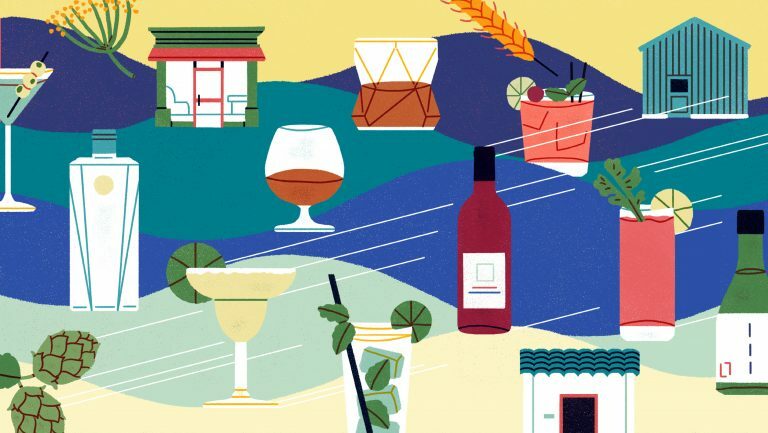 Beverage programs have become a major profit center for cultural institutions, and alcohol is commonly offered on-site at food and beverage venues and at special events. Whatever the reason, today’s consumers of culture have a lot more choices. The notion of what constitutes culture itself is also changing. A recent report, “Culture Track ’17,” by LaPlaca Cohen, an organization that promotes arts and culture, found that people’s perceptions of cultural activities have been evolving. “Audiences do not place priority on whether an activity is ‘culture’ or not,” states the report. 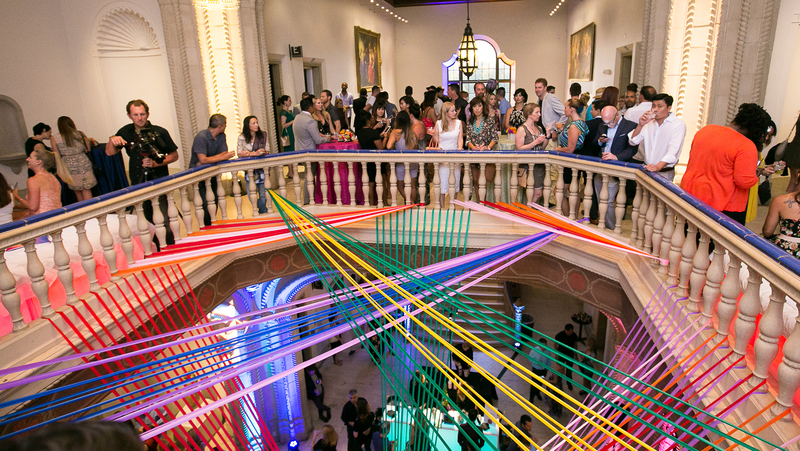 “Now culture can be anything from Caravaggio to Coachella, Tannhäuser to taco trucks.” To compete in this changing landscape, museums are augmenting their arts and science offerings with innovative drinks programs. 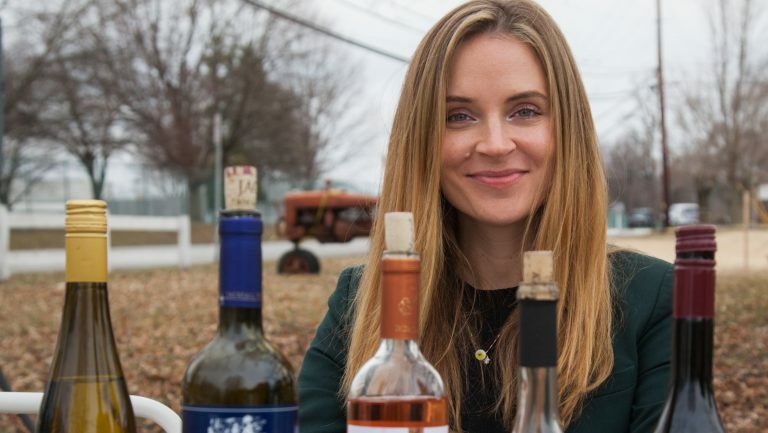 SevenFifty Daily contacted four museums across the country to learn more about how their beverage programs are being used to drive membership and engagement as well as increase revenue. 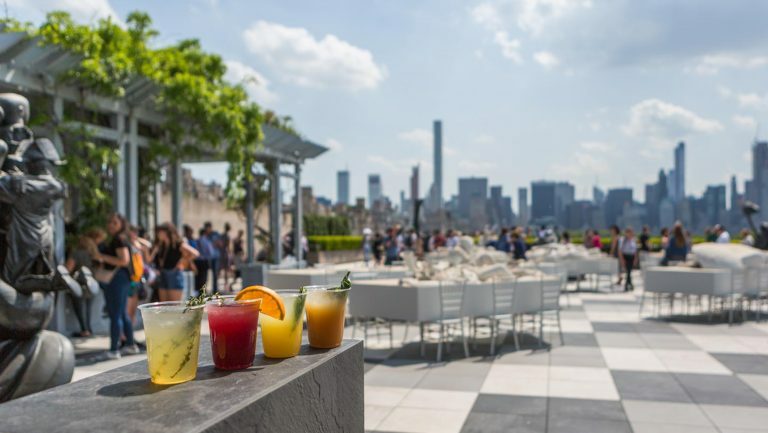 As one would expect from a cultural institution as renowned as the Metropolitan Museum of Art, the food and drink on offer must be of a high caliber. To ensure an impressive level of quality, the museum has worked closely with Restaurant Associates hospitality company for more than 50 years. In fact, the Met is the company’s oldest account in the city. Restaurant Associates has 38 full-time employees working at the Met’s buildings; they staff and oversee the museum’s nine F&B venues. Photo courtesy of the Met Museum. These different venues have made for some rather unique beverage offerings. For example, each summer an artist is commissioned to create an installation for the Met’s popular Cantor Roof Garden, and cocktails are designed to complement it. Last year Adrián Villar Rojas’s The Theater of Disappearance actually incorporated the Roof Garden Bar into the installation’s design and was accompanied by specialty cocktails named by Rojas. Mirroring the concepts explored in the exhibit, ingredients such as infused vodka and fresh fruit purée invited guests to explore familiar flavors in an unexpected way. The cocktails included the Bronze, made with basil-infused VDKA 6100, peach, and lemon juice, and the Gold, made with Russell Henry Hawaiian White Ginger Gin, lemon juice, pineapple, and mint syrup. Megan Williams, the director of business enterprises at the Field Museum, says that having a bar in the museum where guests can relax and discuss what they’ve seen that day has rounded out the experience for thousands of visitors from all over the world. The Field Bistro today showcases the many collaborative beer partnerships the museum has with local breweries. The beers are created in partnership with an Illinois craft brewer and are inspired by Field Museum exhibits. For example, Tooth & Claw, brewed by Off Color Brewing, pays homage to the museum’s famous T. rex, Sue. Off Color’s Wari—an ale inspired by the ancient corn-based drink chicha de molle—celebrates the discovery by archaeologists, including members of the Field Museum, of an ancient brewery of the Peruvian Wari tribe. Williams hopes all these things—the museum’s bar, its beers, and even a beer education program called Hop to It—will prompt the 20- and 30-somethings—those who may feel a science museum like the Field is not for them—to think again. “We’re living in a different time,” she says. “It’s no longer, ‘Don’t touch,’ or ‘Be quiet,’ or ‘Don’t engage.’” Museums are places where communities can gather and interact. For 25 years or so, the white-tablecloth restaurant at the San Diego Museum of Art didn’t quite fit with the casual culture of the Southern California city. So in 2014 the museum decided to turn the space over to a small yet burgeoning local restaurant group that already had two popular restaurants in town (Blind Lady Ale House and Tiger! Tiger!). 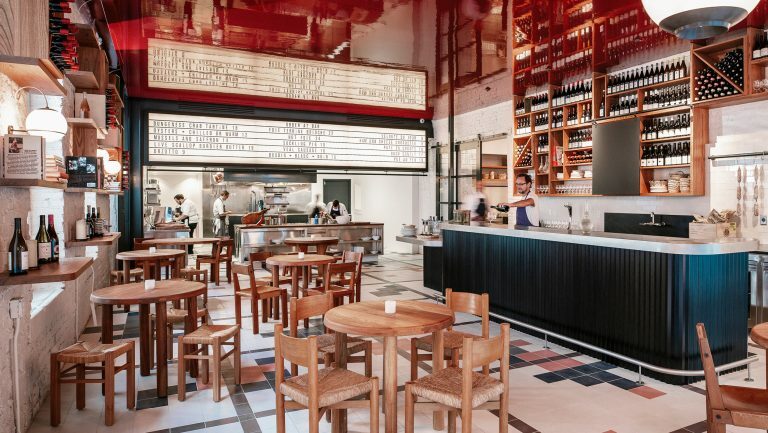 Not only has the museum’s new restaurant, Panama 66, helped revitalize Balboa Park—where it’s located, adjacent to the museum—but it’s brought many new visitors to the museum itself. Panama 66 got its name because the museum building it occupies was built in 1966 and directly faces Balboa Park’s well-known Plaza de Panama. 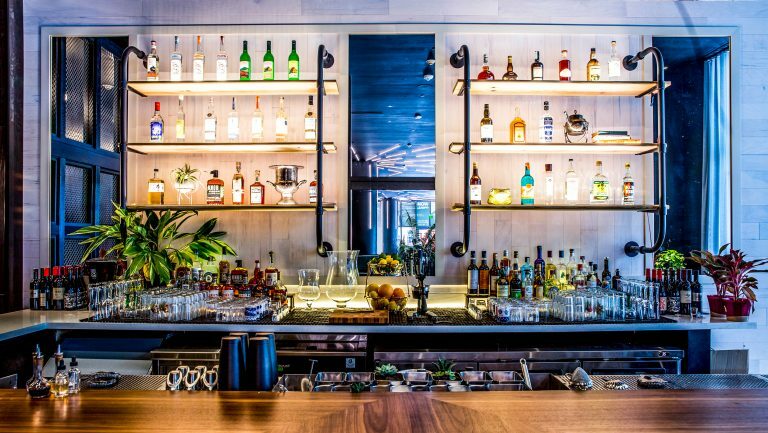 The restaurant’s beers come only from San Diego county and Baja California, Mexico; its wines are all Californian; and its cocktail program is based on craft spirits and local produce. “Our attendance has increased by 70 percent in the last five years,” says Dieter Fenkart-Fröschl, the museum’s chief operating officer. “Does Panama 66 contribute to that? I think we can comfortably say yes.” The relationship with Panama 66 goes both ways—visitors to the museum will stop by for a meal or drink, and the restaurant’s expert mixologists provide specialty cocktails and other drinks for the museum’s many events throughout the year. For many museums, the idea of having guests with cocktails mingling around its exhibits would be a no-go. Not so for San Francisco’s Exploratorium, a museum that emphasizes hands-on interaction with its exhibits. 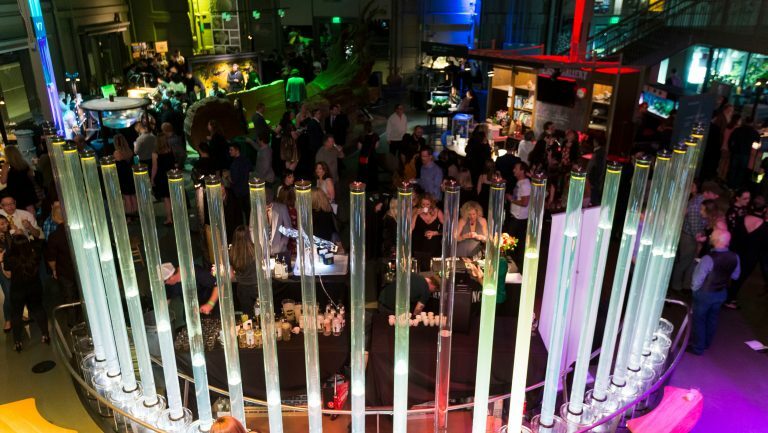 The interactive aspect makes it an especially good fit for alcohol-themed events, such as the Exploratorium’s fund-raiser known as Science of Cocktails. “Many adults are interested in drinking and in mixology, so this event encourages visitors to engage in an inquiry-based drinking experience,” explains Martin Rock, the museum’s associate director of communications. “How are spirits made? 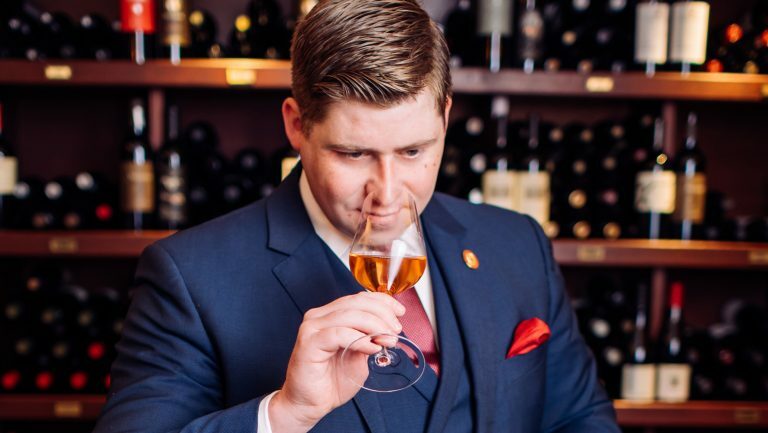 Why do bitters taste good in some drinks but not in others? What’s happening to my brain and body when I drink alcohol? Does it really matter whether I drink beer or liquor first?” During the event, guests get to try unique science-inspired cocktails, and they enjoy complete access to the Exploratorium’s 75,000 square feet of exhibit space. The annual event started in 2010 and has generated over $1 million in support for education, with some 7,000 people having attended since it began. Approximately 160 different science-inspired cocktails have been served at the event since it started, including monochrome-colored cocktails and some made using dry ice. Sponsors have included Ketel One, Rodney Strong Winery, Deschutes Brewery, Tanqueray, Bulleit Bourbon, and many more. The museum also recently launched a new membership for After Dark, a weekly adult-only evening event held on Thursdays. Each After Dark night is centered on a specific theme. A recent one, for example, focused on cannabis. Bars are set up in the museum, and guests can enjoy drinks while listening to presentations by scientists, artists, policy makers, and other experts. Andrew Kaplan is a freelance writer based in New York City. He was Managing Editor of Beverage World magazine for 14 years and has worked for a variety of other food and beverage-related publications, and also newspapers. Follow him on Twitter at @andrewkap.